The relentless use of pool acids and harsh chemicals such as chlorine have the cumulative effect of eroding, fading and staining concrete pool surfaces over time, leaving them looking unsightly and uninviting. Rough and eroded surfaces are not only abrasive to swimmers but also a breeding ground for algae, making proper pool maintenance more difficult. 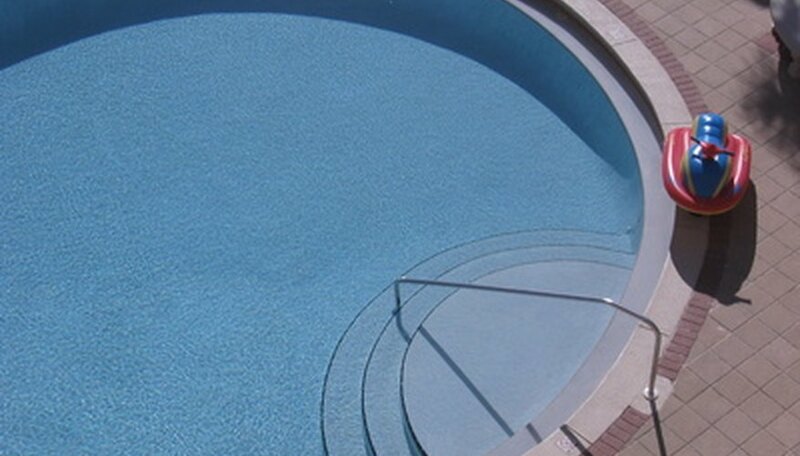 However, when a pool’s surface deteriorates, it can be easily reconditioned by recoating it with a good quality, durable epoxy swimming pool paint. This paint, if properly applied, should ensure a smooth and glossy surface for many years to come. Drain the pool. Wash away all dirt with a scrubbing brush and household detergent. Hose down any remaining soap and dirt. Scrub the pool surface with an acidic solution and a wire scrubbing brush to remove all remaining algae as well as any stains. This will also etch and roughen the surface for better bonding with the primer coat. Remove all loose paint by using a high pressure water washer. Allow to dry thoroughly. Wipe away any dust from the dry pool surface before applying a coat of epoxy primer with a paint roller. Apply the final top coat within 48 hours (to ensure better bonding) using good quality 2-part epoxy swimming pool paint. Apply the top coat with a roller. Let the paint dry thoroughly before filling the pool. If the pool surface is not prepped thoroughly, the re-coated paint will not last as long as it should. Thorough cleaning and etching of the surface is essential. Follow the epoxy paint manufacturer's coverage recommendations on the label. If the paint is applied too thinly it will not last nearly as long. If the pool surface is unstable due to crumbling plaster or is seriously cracked, recoating it with paint may not be the correct solution. Wear a mask and take regular breaks in between painting.